Look for our logo! If you see our logo outside, then our artists are inside! 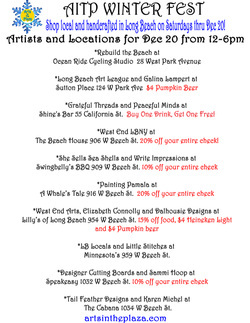 Join in the festivities as Arts In The Plaza artists pop up in Long Beach businesses. Find one of a kind gifts while supporting our community! 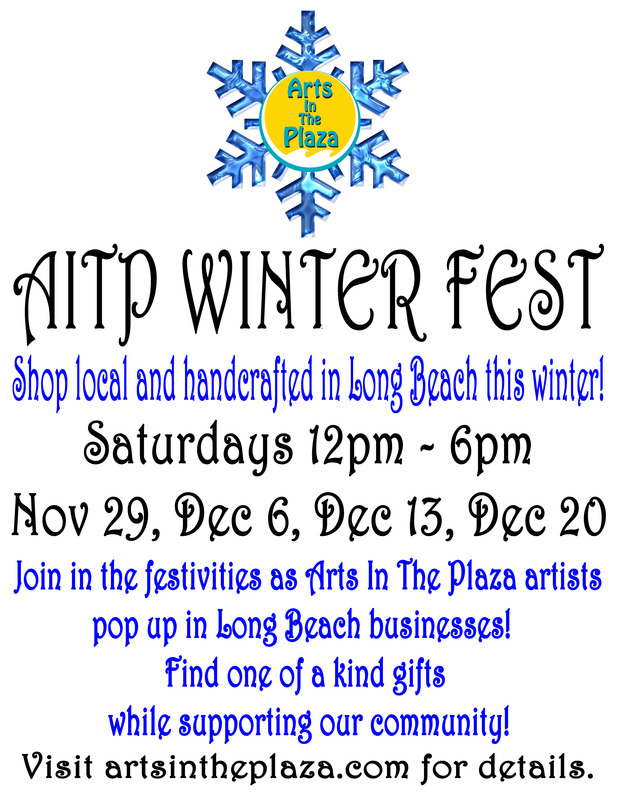 If you are a Long Beach business interested in participating in AITP Winter Fest please email us at aitplaza@gmail.com. Thank you!